Whether you are heading to the beach, the bush, or the outback, here are a few things to consider and plan for before you go. These guidelines will assist you to provide a safe and positive experience for those involved in junior sport and active recreation. 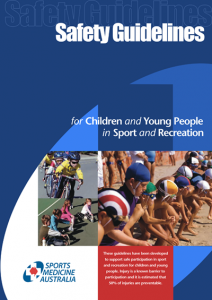 These guidelines have been developed to support safe participation in sport and recreation for children and young people. Injury is a known barrier to participation and it is estimated that 50% of injuries are preventable. Local swimming holes offer sweet relief from the blistering summer heat, cold glistening water and hangouts with mates – surrounded by the screeching of cicadas. This is the time to be found drifting gently in quiet lagoons, splashing in ponds and dams, and chilling under magnificent waterfalls. Sadly, behind the scenes this perfect summer image is tainted. Statistics tell us that every year visitors to our waterways are drowning … here are a few simple ways to stay safe at swimming holes, while still having fun! A collection of resources to help you decide how best to leave your trip intentions with somebody responsible – where you are going, what you are doing, emergency contacts and so on; or to create your own Trip Intentions Form. 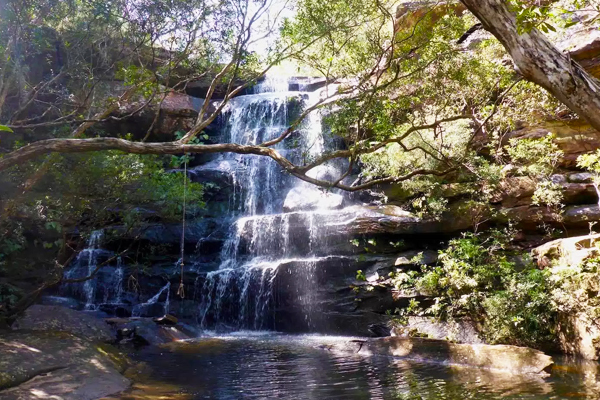 Queensland has spectacular wilderness areas perfect for bushwalking, mountain biking, canoeing, camping or picnics, etc. Our National Parks and State Forests, in particular, provide wonderful outdoor recreation experiences. Be prepared if you plan to spend some time in the bush. Plan your hike or ride or paddle. Always tell someone where you are going and what time you expect to return. Let them know when you return safely. Check the weather forecast and plan for expected changes in weather such as tropical storms or extremes in hot or cold temperatures depending on the location or the season. Check the length and the degree of difficulty of your planned trip. Allow plenty of time to complete the trip, to see the sights and to experience the bush along the way. Harder and longer trips may require more experience and skills, better fitness and local knowledge. When walking, riding, paddling or exploring outdoors carry and drink plenty of water. Drinking water taken from a stream or lake should be boiled first before it is drunk. Wear sturdy shoes and socks, hat, comfortable clothing and insect repellent. Be self-reliant. Other handy items for long trips include food, warm clothing, first aid supplies, matches and a map. 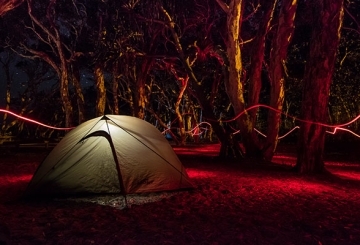 Take a tent and sleeping bag if you are planning to stay overnight. Never walk, ride or paddle alone. Read maps and signs carefully. Stay on the track. Never dive into a rock pool, creek or lake without checking the depth of the water and for any hidden dangers below the surface such as rocks and logs. Stay away from cliff edges and waterfalls and stay behind safety barriers. Rocks can be slippery when wet. Do not feed, approach or touch native animals. Queensland’s beaches are one of our most popular outdoor recreation areas. If you enjoy swimming or surfing you must take care as our beaches can be dangerous. Always swim between the red and yellow flags – not outside them. The flags mark the safest place to swim and the area where lifesavers and lifeguards patrol. Always swim under supervision or with a friend. An adult who can swim should always accompany children into the water. Read and obey the warning signs on beaches and beach access points. They explain the rules of the beach and provide warnings of potential dangers and other useful information for you to enjoy a safe day at the beach. Alcohol and drugs impair judgement, so never swim under the influence of alcohol or drugs. Avoid contact with any sea creatures you might encounter at the beach. While they may look harmless some may inflict a sting or a bite. Be mindful of objects that might be present below the water surface. Enter the water gradually – never run, jump or dive into shallow water. Because of Australia’s climate and population distribution, most people access coastal beaches or inland bodies of water for aquatic recreational or sporting activities. Swimming pools, both public and private, also provide opportunities for aquatic activities. Swimming is a popular leisure, fitness participation, and competitive activity. Therefore, aquatic safety is a national priority. The Australian government also recognises the seasonal requirements for snow safety and has invested in programs and provides grants to organisations enabling snow (alpine) safety. Because of Australia’s climate, population distribution and cultural affinity for aquatic sport and recreation, governments uniquely place water safety as a public priority. 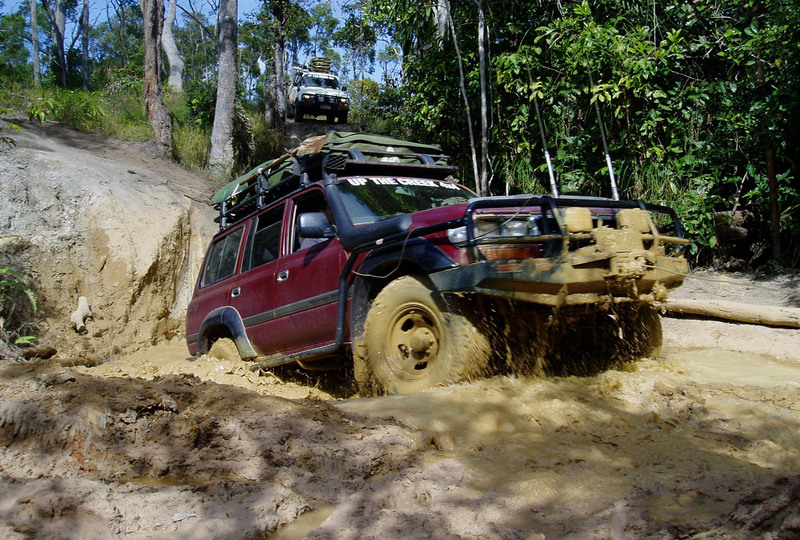 Queensland’s outback is a vast, wonderful and rewarding place for four wheel driving and trail horse rides, etc. Our remote wilderness areas have few towns and facilities (with large distances between them), so plan your trip and be prepared. When planning each day of your trip spend some time to calculate how long it will take to drive or ride between destinations. Be realistic about how far you can drive or ride in a day. Inform family and friends or the local police of your travel plans. Always carry current maps and other navigational equipment. Take extra care when driving four-wheel drive vehicles. For example, drive at reduced speeds on unsealed roads and never attempt to drive through swollen or flooded rivers and creeks. food, extra fuel and tyres. Do not overload your vehicle and never carry spare fuel inside an enclosed vehicle. Consider taking appropriate emergency communication equipment, such as satellite phones. Ensure gas bottles and camping equipment are current and undamaged. Be cautious with campfires. Bushfires in desert areas can spread very quickly. If you become aware of a bushfire be prepared to evacuate the area immediately. If you have trouble with your vehicle wait with the vehicle for help to come to you, where there is shade and protection from the heat. On outback roads wildlife and livestock sometimes graze on the roadside and can stray onto the road. Be very careful when driving at sunrise and sunset when animals are most active. If an animal crosses in front of you brake gently – do not swerve wildly to avoid it. On average our bodies require 2 – 2½ litres of fluid per day to maintain adequate hydration levels. Rita Walker, Training Consultant, HMT Consulting. Most fatigue-related accidents occur during normal sleeping hours, and the more severe the crash, the more likely it is that the driver or drivers were fatigued. Fatigue is a likely factor in almost one third of single-vehicle crashes in rural areas. 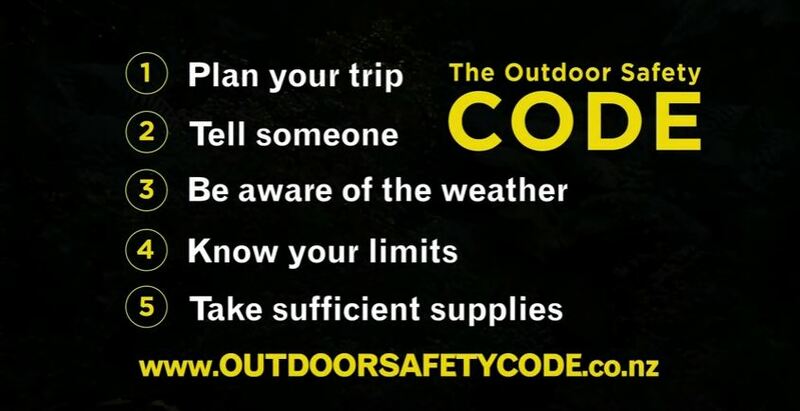 The five basic rules of the Outdoor Safety Code make it easier to ensure you can enjoy yourself in the outdoors and have great stories to share at the end. The rules were devised by outdoor experts to help keep you safe on your chosen adventure. Preparation is critical, and safety and enjoyment go hand in hand. Never mind if you’re planning a half-day fishing trip or a multi-day bushwalk. Risk is not always measured by the length of a trip or the particular challenges of a destination. Follow these five basic rules, and you’ll be off to a flying start on your next adventure. Weather can be highly unpredictable. Check the forecast and plan for weather changes. The 5 safety points above have been created through expert consultation and are the core to all outdoor safety practices. All of the points can be expanded upon depending on your specific recreation and geographic location, so use them as a starting point and make sure you know all you can about your activity before you head out. 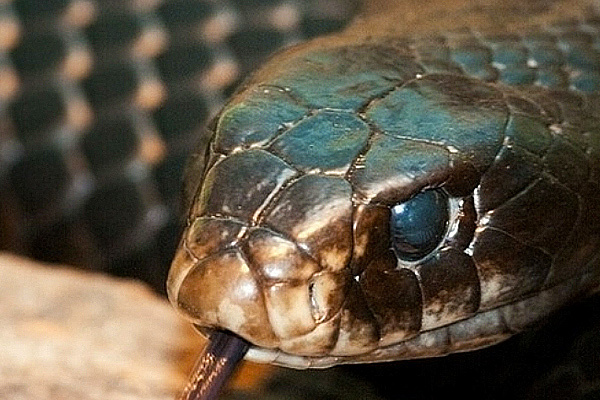 Updated advice and procedures following the publication of a new snakebite study. The Australian Snakebite Project. The study has prompted the RFDS to reverse previous long-standing advice about the importance of identifying the colour and type of snake. Be prepared with this practical first-aid guide for everything from blisters to heart attacks. Wilderness first aid is the knowledge and ability to effectively address injury, illness, or emergency outside of modern facilities, out in the wild. Skills could include knowing how to dress a wound, treat a burn or bite, or set an injured limb. These are important skills that can save your life or the lives of other outdoor enthusiasts. A list of companies that provide first aid training to the outdoor sector.